Former Lok Sabha Deputy Speaker and senior SAD leader Charanjit Singh Atwal was today sworn in as Punjab Vidhan Sabha's protem Speaker. 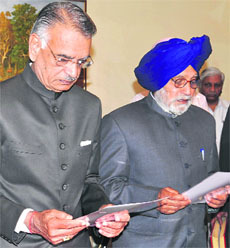 Governor Shivraj V. Patil administered the oath of office to him at the Punjab Raj Bhavan. Ashok Aggarwal would continue to be the Punjab Advocate General. A decision regarding his re-appointment was taken by the Punjab Government today, an official spokesperson said. Aggarwal had remained the Advocate General in the SAD-BJP government's previous tenure as well. The government spokesperson said Aggarwal had been consulted and he had agreed for the assignment. The state government today appointed Suresh Arora, a 1982 batch IPS officer, as the Vigilance Chief Director. Instrumental in keeping a check on anti-social and anti-national elements, Arora till recently was the state intelligence chief. His appointment comes within a day of appointment of Sumedh Saini (former Vigilance chief) as the Director General of Police (DGP). Both Saini and Arora are from the same IPS batch. Union Minister of State for Planning, Science and Technology Ashwani Kumar today said somebody must own up to the Congress’ defeat in the recent assembly elections. Senior Congress leader and Guruharsahai MLA Rana Gurmit Sodhi has appealed to his party leadership and workers to remain united and not wash their dirty linen in the public. Erratic power supply is set to haunt people of the state this summer season. Expecting a gap between demand and supply of electricity for 2012-13, the Punjab State Power Corporation has proposed about three-hour power cut during summer days. It has already filed a petition with the Punjab State Electricity Regulatory Commission in this regard. Punjab Finance Minister Parminder Singh Dhindsa today launched three helpline services in Sangrur district. Presiding over the function organised to launch the helpline services at the Suvidha Centre of the District Administrative Complex, Dhindsa said the helpline 1800-180-2030 would be for the people of Sangrur for providing them information pertaining to the government departments. Having already spent a whopping sum of nearly Rs 5 lakh on her treatment, cancer patient Bakshish Kaur now expects some relief after the Central government proposed a reduction in the prices of cancer drugs. Bakshish Kaur, a resident of Jhurar Khera village in Muktsar, says her family has spent a considerable amount of money on her treatment as medicines are highly priced. Union Finance Minister Pranab Mukherjee’s announcement to exempt imported steam coal from basic customs duty has come as a relief for the Punjab’s power sector. The duty has been fully waived from the earlier five per cent duty. SGPC Chief Avtar Singh Makkar today condemned the impending move to execute Balwant Singh Rajoana, assassin of former CM Beant Singh, and dubbed it as the "murder of justice". In a statement released here, Makkar said all the SGPC-run gurdwaras, including the Golden Temple and Sri Akal Takht, would perform 'ardaas' for "chardi kala" (high spirits) of Rajoana tomorrow. 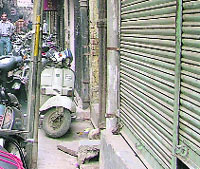 Jewellery shops in the city remained closed today in protest against the imposition of excise duty on non-branded jewellery. Signboards outside many jewellery shops in the city read: "The shop will remain closed in protest against the excise and consumer tax: Ludhiana Jewellers' Association." A slight reduction in excise duty on garments from 4.5 per cent to 3.6 per cent was a mere eyewash, felt the garment and textile industry here. To ensure that power distribution system does not get overloaded on account of unauthorised load and also to generate revenue, the cash-strapped Punjab State Power Corporation Limited (PSPCL) has re-introduced the VDS (voluntary disclosure scheme) for the domestic supply (DS) and non-residential supply (NRS) consumers in the state. The owners of the buses running under the km-scheme of the PRTC have decided not to ply buses for three days from March 19 in protest against the PRTC management for not releasing their payments. The court of Additional Sessions Judge Karamjit Singh Kang today adjourned the Shingar Cinema bomb blast case to April 17. None of the prosecution witnesses was available for recording evidence in the court. The choice of Atwal as the protem Speaker and making him the frontrunner for the post of Speaker in the Budget Session of the Punjab Vidhan Sabha starting from Monday indicated the SAD's commitment to give due representation to the Dalits. Atwal won the Payal (SC) seat by a slender margin of 630 votes. Soon after being sworn in, Atwal signed the oath, which was countersigned by the Governor. Atwal told mediapersons that he would do his best to uphold the dignity of the chair and maintain the traditions of the House. He said he felt privileged to be selected for the task. Nirmal Singh Kahlon, the Speaker of the 13th Vidhan Sabha, had lost the election. He was defeated by Tripat Rajinder Singh Bajwa in Fatehgarh Churian by a margin of 639 votes. Kahlon had remained controversial on several counts. He was first involved in a CBI case pertaining to the recruitment of Panchayat Department officials. He also tried to get all cases against politicians withdrawn by trying to get a resolution in the House. However, he failed in doing so. Senior officials were unhappy with him as he would allegedly summon them and humiliate them. Atwal is expected to be elected as the Speaker soon after the Vidhan Sabha session starts next week. It has been learnt that Atwal was keen to become a Cabinet minister, but he was prevailed upon to take the Speaker's post. The previous government had appointed Aggarwal the Advocate General (AG) in October last year after the then AG Baldev Singh resigned claiming the SAD-BJP government was "pressurising" him on several issues. Months before the assembly elections in Punjab, Aggarwal had bailed the government out by accepting the AG's position. Ever since, he stood by the SAD leadership. The Shiromani Akali Dal's alliance partner Bharatiya Janata Party had raised a hue and cry when Aggarwal was appointed AG for the first time. The party contended that the SAD didn't consult it while making the appointment. However, there is no reaction from the BJP this time round. Aggarwal has also remained the Advocate General of Haryana, besides being a standing counsel to the Government of India for a long period and a special standing counsel to Union Territory of Chandigarh for over 15 years. He was also the youngest lawyer to be designated as senior advocate by the Punjab and Haryana High Court. Meanwhile, there is a section of leadership in the ruling parties that is critical of the functioning of the Advocate General's office claiming a heavy fee was being paid to private lawyers to handle cases concerning the government despite the presence of a large number of lawyers in the AG office. The state government today appointed Suresh Arora, a 1982 batch IPS officer, as the Vigilance Chief Director. Instrumental in keeping a check on anti-social and anti-national elements, Arora till recently was the state intelligence chief. His appointment comes within a day of appointment of Sumedh Saini (former Vigilance chief) as the Director General of Police (DGP). Both Saini and Arora are from the same IPS batch. Arora has a vast experience in dealing with counter-insurgency. He served as SSP at Amritsar, Hoshiarpur, Jalandhar and Chandigarh during the militancy period. But, unlike other officers, he has never been accused of any highhandedness or use of extra-constitutional authority while performing his duty. He was handpicked to be the in charge of Chief Minister Parkash Singh Badal’s security during the SAD-BJP’s 1997-2002 tenure. Arora did his master’s degree in law from London while on study leave before being appointed as the state intelligence chief. The Shiromani Akali Dal-BJP government has announced checking corruption as one of its major tasks. Therefore, Arora, who enjoys a clean image, came as a natural choice for the government to appoint him as the Vigilance chief. Addressing mediapersons here during his first visit to the state after the poll results were announced, the Union Minister said the assembly poll results were unexpected and the party leaders would sit together to analyse the reasons behind the defeat. “Neither am I targeting any individual nor seeking anybody’s resignation. I am not asking for any retribution…. The party, at some level, could not gauge the mood of the public. We were hoping for a clean sweep in the Majha region,” he said. Replying to a query, he blamed “flawed ticket distribution based on wrong inputs from the local leadership” for the Congress’ defeat and said the party leadership at the district as well as the state level was accountable for it. He said the Congress would play the role of a constructive opposition in the assembly, articulating and espousing the cause of the people and the resort to agitation, if necessary, in support of the people’s cause. He said the Congress would also support the “pro-people works” of the SAD-BJP government. In a statement issued here today, Sodhi said the Congress should humbly accept the verdict of the state people and assure that it would play the role of a responsible opposition and support the government in all the positive development works undertaken for the state's betterment. "I request my colleagues in the Congress and all the party workers in Punjab to show unity. We should start introspecting to find the reasons behind our defeat and work on a plan for the next five years," he said. Giving its projected figures, the corporation has sought permission for about three-hour power cut in May during which the average requirement is being showed as 1,421 lakh units per day (LUPD) against the availability of 1,046 LUPD. "To fill the gap of 88 LUPD, there is no other way but to impose cuts in all main cities, including Mohali, Patiala, Bathinda, Ludhiana, Jalandhar, Amritsar, district headquarters and urban industrial areas," said an official of the corporation. Similarly, in July, when the projected availability is 1,762 LUPD against the requirement of 1,950 LUPD, the duration of proposed power cut is about 3.30 hours per day. During August, September and October, the proposed power cut is a little less than three hours a day. However, there will be some relief in June when the duration of the proposed cut is 1.10 hours per day. There is also a proposal for one day weekly off for major industries and three hours of regular power cut everyday for small industries. With the proposed power cuts for industries, there will be a relief of 58 LUPD during the season. In the petition, the power corporation has stated that there will be no need for power cuts during April, November, December, January, February and March. Notably, on an average, the unrestricted demand of power in Punjab varies between 1,018 LUPD and 1,950 LUPD, leaving a demand-supply gap of 17 LUPD-189 LUPD for most of the months. Demand has always outpaced the supply of power in the state and this gap varies between 2.62 per cent and 27.59 per cent. He said any person having genuine grievance, which had not been addressed by the authorities concerned, could call the helpline to register a complaint. Assuring that the helplines would be functional during all working days, Dhindsa said, “An online record of the complaints would be maintained. A copy of each complaint would be sent to the Deputy Commissioner, the head of the department concerned, Commissioner, Grievances, and the complainant”. “Random visits and strict monitoring of the helpline service would be maintained to ensure that the initiative proves to be a deterrent in curbing corruption and effective functioning of the government departments”. About the other two helplines, Sangrur Deputy Commissioner Kumar Rahul said, “Helpline numbers 75081-81800 and 80549-50600 will deal with cases of medical and veterinary emergencies, respectively. “These helplines will remain functional round-the-clock,” added the DC. Earlier in the day, Dhindsa was given a rousing welcome by SAD activists in Bhiwanigarh. Akali Dal leaders and members congratulated Dhindsa for being given the portfolio of Finance Minister. 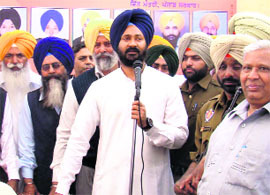 Addressing the workers, Dhindsa said the SAD-BJP government would continue its development-oriented approach to ensure all-round development of the state. “I used to go to Bikaner for treatment, but due to high costs, I decided to undergo treatment at a Muktsar hospital," she adds. Similar is the case of hundreds of cancer patients of the Malwa region. Angrez Kaur of Surewala village said, "Providing cheaper medicines to the patients is not enough. The government must also take care of the diagnostic cost and travel expenses". In Giyana and Jhajjal villages, near Talwandi Sabo in Bathinda district, there is hardly any household that does not have a patient suffering from the disease. Dr Yogesh Chawla, Director, PGIMER, Chandigarh, said duty cut on drugs was a welcome step. He said costly cancer drugs were a hurdle in the treatment. “I hope similar exemptions will be given on more drugs,” he added. Due to high cost of drugs and comparatively low survival rate, the treatment is a psychological and economical burden on patients and their families, said Dr HP Yadav of Guru Gobind Singh Medical College and Hospital, Faridkot. In another related move, the Union Government recently allowed an Indian pharmaceutical company, Natco Pharma, to manufacture and sell its low version of a cancer drug at a fraction of the price charged by patent-holder German firm Bayer AG. Doctors say it will be a big reprieve for patients. The move will strike a balance between health industry's growth and medical needs of the people, said Dr SS Gill, Vice Chancellor, Baba Farid University of Health Sciences. The treatment of cancer is so costly that most of the patients and their families do not even prefer to avail "a meagre relief" from CM's Cancer Relief Fund, which the Punjab government started two year ago. Since July 2010, the state government has released Rs 20.17 crore to 1,843 patients. 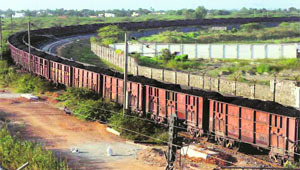 The decision comes after the Railway Ministry had hiked the coal (used as fuel in thermal power plants) freight, something that would have hit the state’s power production hard as coal would have gone costly. But now, the cost of imported coal, and that also of power generation, is likely to come down. Recently, the Coal India Limited had communicated to the developers of the upcoming thermal plants in Punjab that if there was a shortage of the domestic coal, they would be provided imported coal. Taking note of the coal shortage, which would have also affected the steel industry, the Union Government announced to provide full exemption from basic customs duty on the steam coal for a period of two years till March 31, 2014. The Federation of Punjab Small Industries Association president, Badish K Jindal, said, "The exemption of customs duty from five per cent to nil is sure to help the power sector and the consumers too." Chamber of Industrial and Commercial Undertaking general secretary and joint secretary Avtar Singh and Upkar Singh, respectively, hailed the relief measures for the power sector, including external borrowing, concessional rate of customs duty on the import of parts and long-term contracts with coal companies. He said the death sentence of Rajoana should be reviewed so that peace and trust of the minorities in the country was maintained. Jewellery shops in the city remained closed today in protest against the imposition of excise duty on non-branded jewellery. Signboards outside many jewellery shops in the city read: "The shop will remain closed in protest against the excise and consumer tax: Ludhiana Jewellers' Association." Anand Sikri, president of the association, said the imposition of excise duty coupled with 4 per cent import duty is "unfair". Union Finance Minister in his 2012-13 Budget has proposed one per cent excise duty on non-branded jewellery. The customs duty on standard gold has been increased from 2 per cent to 4 per cent, while that on non-standard gold from 5 per cent to 10 per cent. Besides, there would be tax collection at source on cash purchase of jewellery exceeding Rs 2 lakh. Manoj Dhanda, general secretary of the association, said these policies would sound a death knell for small-time jewellers. This will affect the sale of gold in the wedding season, feel the jewellers. The removal of excise duty of one per cent on branded silver jewellery may be the only silver lining. Traders said Union Finance Minister Pranab Mukherjee had played a gimmick with the industry. Ajit Lakra, president, Federation of Knitwear and Textile Association, said the government reduced just 0.9 per cent of the excise duty on garments. It had raised the abatement from 55 per cent to 70 per cent, which means that levy would now be imposed on 70 per cent of the cost of the product as against the present exemption of 55 per cent. “These are nothing but smart manipulations. We have been demanding either removal of excise duty or completion of the Cenvat chain, but nothing has been done in the present Budget”. The scheme would be in force for three months, starting from March 12. The Power Corporation authorities said, since the VDS scheme had received overwhelming response in the past, it would help in generating revenue besides regularisation of unauthorised load. Earlier, the erstwhile Punjab State Electricity Board (PSEB) had launched the VDS for agricultural and DS/NRS category consumers in November 2009. The scheme got the remarkable response with power utility becoming richer by approximately Rs 103 crore. "The PSPCL’s fiscal health is deteriorating and the power utility is fast getting into a vicious debt-trap, the scheme would help in generating some revenue,” said a senior PSPCL officer, preferring anonymity. The circular issued by the PSPCL reads, “In absence of data of actual installed load, the PSPCL is unable to upgrade the existing transmission and distribution system to cater the actual load. This leads to overloading of distribution system, causing avoidable inconvenience to the consumers. The VDS will help in sorting out the problem." Baljeet Singh, state president of the PRTC Km-scheme Bus Owners' Union, said that a few owners of the km-scheme buses had already sold their vehicles and many others were looking for suitable deals so that they could get rid of their buses due to financial crisis. "Despite repeated requests, the PRTC management did not pay any heed to our demands. And it has failed to make payment to km-scheme bus owners for the past six to eight months. But we will not tolerate this attitude any more. If we don't receive the entire amount by March 17, we will stop plying buses for three days. It will certainly cause inconvenience to commuters, but we are helpless," he added. Sewa Singh, district president of the union, said there were around 283 buses under the kilometre-scheme of the PRTC, but the number was decreasing every month. As per the contract between the PRTC and the km-scheme bus owners, the management has to pay Rs 6.59 per km to the bus owners every fortnight. The Rajindra Hospital Bachao Action Committee has decided to hold a protest march here on April 2 against the deteriorating quality of health services at the three government-run hospitals, including Government Rajindra Hospital, Mata Kaushalya Hospital and TB Hospital. Vidhu Shekhar Bhardwaj, a member of the committee, said that they had been receiving complaints regarding lack of facilities in the three hospitals and even met senior authorities but to no avail. "These hospitals are the only hope for the poor who cannot afford high fee of private doctors. Therefore, we want the government to ensure good quality of health services in these hospitals," he added. Addditional Public Prosecutor Ravinder Abrol informed the court that so far, around 12 prosecution witnesses had been examined and the rest would be examined soon. Terror had struck Ludhiana in October 2007 when at least seven persons, including an 11-year-old boy, were killed and over 30 injured after powerful bomb blasts rocked Shingar Cinema hall in the city. Accused Gurpreet Singh, Harminder, Sandeep Singh and Rinku were present during the hearing. Additional Sessions Judge Karamjit Singh Kang today adjourned the hearing in the alleged multi-crore City Centre scam to April 7. The Sessions Judge had retired on February 29 in whose court the case was pending, but so far no Sessions Judge has been appointed. Former CM Captain Amarinder Singh, his son RanInder Singh, Raminder Richi and eight other accused were not present in the court.